I have a review up today! Yay! But it's not here. It's over at Project Gutenberg Project where I (and others) review old timey public domain books. 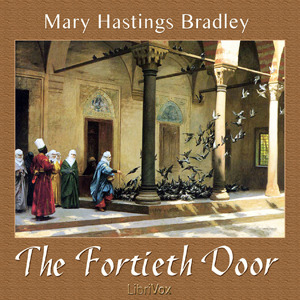 I reviewed The Fortieth Door by Mary Hastings Bradley. It's a romance/adventure story from 1920 set in Egypt. It was... interesting. Please check out my review and let me know what you think! I took the URL for the photo from Goodreads but now that I think of it most audio covers are square.